A fire sprinkler journeyman contractor must work under the supervision of a licensed fire sprinkler contractor. Course Description: Upon enrolment the student receives an email containing his/her ID and Password combination to access the eCampus. The student can access the eCampus 24/7 for as long as it is necessary until he/she passes all licensing exams. The eCampus contains VIDEOS, PRACTICE QUESTIONS (similar to those seen on the actual exams), typical MATH PROBLEMS with step-by-step solutions, and detailed instructions on how to FIND ANSWERS within the books. The student also has access to optional in-person classroom-style refresher seminars. The training can be completed fully online, but if the student prefers, he/she can go to any number of REFRESHER SEMINARS (no extra charges or limitations). Click here for a list of dates and locations of upcoming Refresher Seminars offered for this trade. NFPA 13 addresses the requirements for sprinkler systems including design, installation, and acceptance testing; hanging and bracing systems, underground piping, and seismic protection. 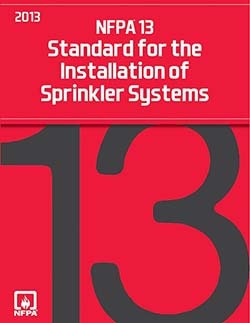 NFPA 13D: Standard for the Installation of Sprinkler Systems on One-Two Family Dwellings and Mobile Homes is an important reference book used for Fire Protection contractor testing in Florida. 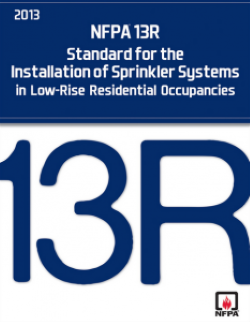 NFPA 13R is the Standard for the Installation of Sprinkler Systems in Residential Occupancies Up to and Including Four Stories in Height. This standard is used for testing in some Fire Protection contractor exams in Florida.